Travis Lanaux, DVM, DACVECC, is the service chief for the small animal emergency and critical care unit at University of Florida. He earned his DVM from Louisiana State University and completed an emergency medicine and critical care residency at Cummings School of Veterinary Medicine at Tufts University. Amandine Lejeune, DVM, DACVIM (Oncology), is a clinical assistant professor of oncology at University of Florida. She earned her veterinary degree from National Veterinary School of Toulouse in France and completed an oncology residency at University of California, Davis. Her interests include pharmacology of chemotherapy agents, chemotherapy safety, electrochemotherapy, and environmental exposure to carcinogens. Megan Eide, RPh, CPh, PharmD, MSCR, MAEd, FSVHP, is the manager of pharmacy services at University of Florida. She completed a veterinary pharmacy residency at North Carolina State University. Her interests include patient safety programs, education, and pharmaceutical compounding and stability of dosage forms. The opioid crisis has created a clear juxtaposition between veterinary and human medicine. Although veterinary patients are treated for many of the same conditions as humans and veterinarians have prescribing access to much of the human formulary, they are not subject to the same consistent level of scrutiny and restrictions as their human counterparts. The prescribing authority of veterinarians varies among states, but veterinarians can obtain valid access to opioids to treat patients. Although recent guidelines and statements from both the FDA1 and the AVMA2 encourage veterinarians to be vigilant of potential opioid abuse by pet owners and team members, the authors believe this is a passive role and a missed opportunity to help curb this epidemic. 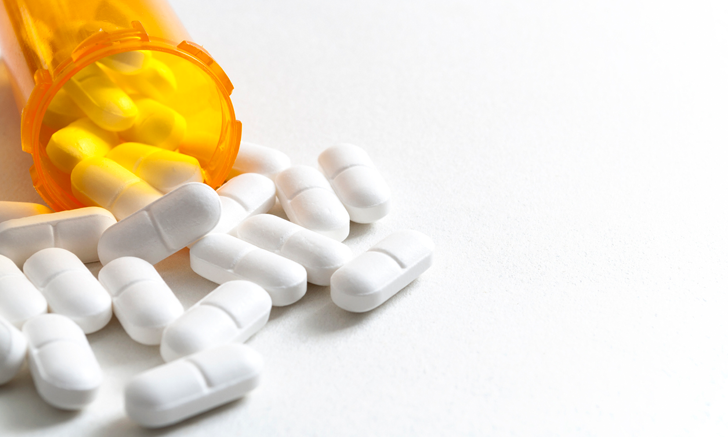 The number of human deaths involving opioids has seen a 4.1-fold increase from 2002 to 2017, with the most recent statistics attributing more than 49 000 deaths to opioid overdose.3 The immediate response by public health officials and policy makers has been focused on limiting access to these drugs through prescription drug monitoring programs and various regulations at the state level. Although these measures have improved tractability of drugs and put a strain on illicit access to prescription drugs, they are wrought with loopholes and do not provide a long-term solution to stemming access to these drugs through the veterinary healthcare system. The causes of and potential solutions to the opioid epidemic are complex and multifactorial. Human healthcare providers, insurance providers, employers, and individuals all have input regarding available healthcare choices, as well as unique infrastructures, software, and protocols that dictate how to communicate, document information, and interact with each other and with patients. In addition, federal and state regulations dictate healthcare delivery options and reporting requirements. With so many players, detecting and responding to abuse or risk to humans and their pets can be challenging. Individuals seeking opioids could view the veterinary route as the “path of least resistance” to facilitate their addiction. Veterinary professionals should strive to do more in contributing to a long-term solution to the opioid crisis. Vigilance is necessary to identify potential issues or abuses. Owner-inflicted injuries: In the authors’ experience, concern and further investigation are warranted when patients are presented for frequent unexplained injuries. In a recent example, a patient was presented multiple times with apparent surgical-type lacerations.4 This eventually raised the suspicions of the veterinarian, who identified that the pet owner was cutting the patient and seeking veterinary treatment to obtain tramadol. Embellishment of the severity of a patient’s chronic conditions (eg, arthritis, chronic cough): Veterinarians have the opportunity and the professional obligation to confirm a diagnosis and require rechecks before new prescriptions are written. It is important to confirm that patient response is appropriate to the prescribed therapy to ensure pet owners are not diverting part or all of a medication from the patient. Frequent switching between practices: Given how impractical and difficult it is to consistently track patients among practices, pet owners could exploit the opportunity to “hop” from veterinarian to veterinarian and falsify information. The pet owner could manipulate a pet’s information to make it difficult for veterinarians and pharmacists to keep track of a patient’s prescribed medications. The Health Insurance Portability and Accountability Act (HIPAA) prevents a pharmacist from reviewing a pet owner’s medication record or other records associated with the owner’s household when a prescription is brought in for a pet. Only the file associated with the veterinary prescription written for a specific pet can be reviewed. These scenarios could be addressed through communication among veterinarians and pharmacists. Only through greater understanding and education can veterinary professionals help curtail the opioid epidemic and gain the tools needed to address this complex social issue. U.S. Food and Drug Administration. The opioid epidemic: what veterinarians need to know. FDA website. https://www.fda.gov/animalveterinary/resourcesforyou/ucm616944.htm. Updated August 2018. Accessed December 2018. American Veterinary Medical Association. Opioid resources for veterinarians. AVMA website. https://www.avma.org/KB/Resources/Reference/Pages/opioid-resources-for-veterinarians.aspx. Accessed December 2018. National Institute on Drug Abuse. Overdose death rates. NIDA website. https://www.drugabuse.gov/related-topics/trends-statistics/overdose-death-rates. Updated August 2018. Accessed December 2018. Warren B. Shocking trend: pet owners abusing their own animals to get drugs. Courier-Journal. https://www.courier-journal.com/story/news/crime/2018/08/27/pet-owners-abusing-animals-drugs-opioid-crisis/1066712002. Published August 2018. Accessed December 2018.